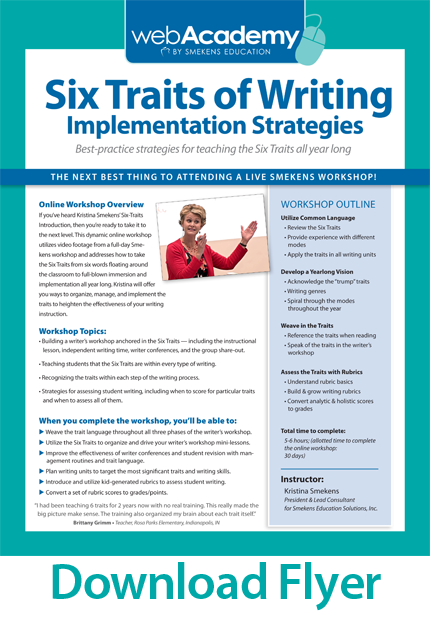 "Six Traits of Writing: Implementation Strategies"
The workshop can begin at any time. After enrollment, you have access to the content for 30 days. You determine how fast or slow you want to progress through the workshop during this time. Most likely! 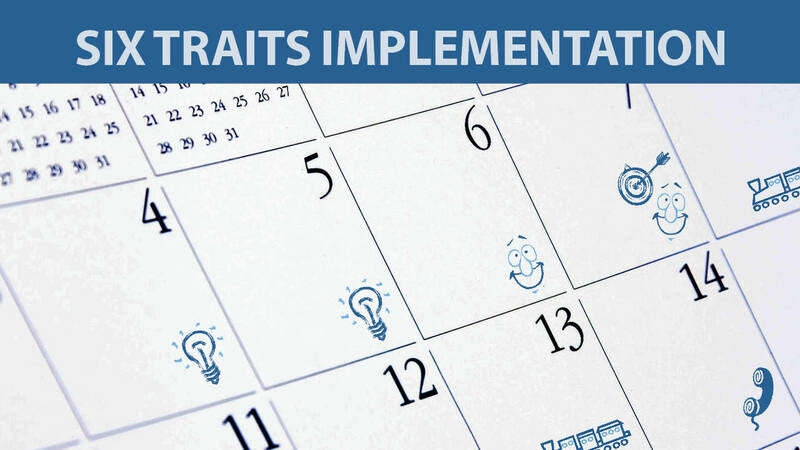 With prior approval from your school district, participants may receive credit for up to 5 hours of professional development for each workshop. A certificate of completion is available when you select the "Verified View." No certificate is awarded when you select the "Flexible View." For possible Illinois-approved credit, please contact our office. Graduate-level credits offered through the University of the Pacific are non-degree credits which are designed for professional certification renewals and salary step increases. To learn more, contact us be email or call (888) 376-0448. We would never want you to be unhappy! If you are not satisfied with your purchase, contact us in the first 10 days, and we will give you a full refund.